Orange contains vitamin C and fibre which helps to improve skin care for a clear and smooth texture. The unique taste of an orange sharpens appetite. 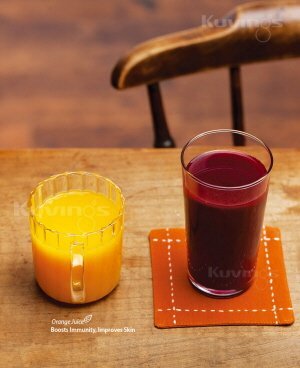 Regular orange juice contains enough Vitamin C for RDA. 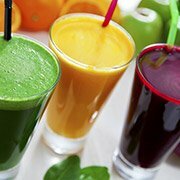 Orange keeps a lot of moisture which is great for juicing. 2. Cut orange to appropriate size. Vitamin C, flavonoids, and beta carotene boost the immune system, help protect you from the effects of aging, and may help prevent disease. Orange preserves pectin, potassium, and citric acid which is great for skin care, treat constipation, fatigue, and flu.